Welcome to the latest Tewsletter to date. I'll blame the holidays for the delay. All of them. You know how Thanksgiving sometimes just bleeds in to President's Day and then all of a sudden you're seventy-five and nobody's visiting you in the home? I haven't been hit by any cars since we last spoke, so that's good. That's how I measure good weeks now, and they've all been great so far. First things first, I'm in Cleveland this week! I'm at my second home, Hilarities. Opening for the hilarious Chad Daniels Wednesday to Saturday, and headlining Sunday. You can grab tickets here. 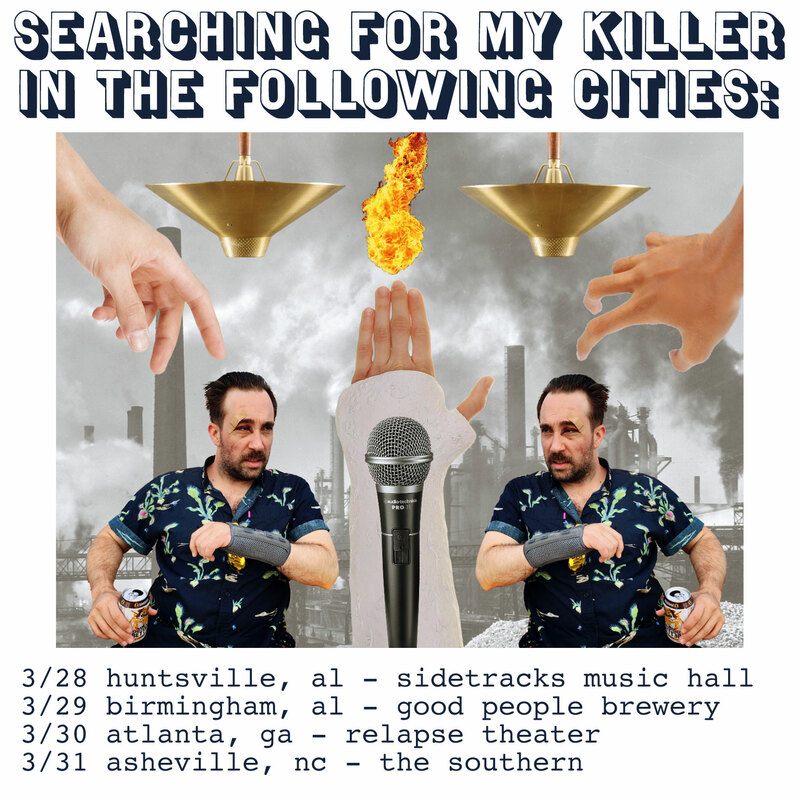 At the end of March I'll be doing a run of shows in Huntsville, Birmingham, Atlanta, and Asheville. I've never been down that way before but I'm told that they'll like me. I made a video for Weezer! For the bulk of the last two months, when I wasn't on stage, I've was hunched over drawing and animating, working on a video for Weezer. They didn't really ask me to do it. I just kind of started and couldn't stop. Back in November, Rivers tweeted, asking if anyone had any ideas for their new song "Happy Hour". I half jokingly replied, "Yeah, can you send me video of you singing the chorus and bridge on a green screen?". A week or two later, he replied saying he was making the video and he asked where to send it. I obviously did not expect that, and then felt like I had to make the video because I didn't want to disappoint Weezer. Even though they've disappointed me twice (Raditude, and Hurley). I started sketching out an animated video, did a few tests, and tweeted a segment back at Rivers. He liked it, and said he was sending the green screen footage via his managers. It never came, but I went through finishing the video without it. Once it was done, I had my manager get it to them through the proper channels, and they liked it! They posted it on their social platforms last week and the response has been solid. I hope you've all been having a pretty good life. Copyright Â© 2018 Jim Tews c/o Avalon Management, All rights reserved.